First I'd like to say how thrilled I am and grateful to the developers for another Starflight game. The original PC games were among my favorites years ago, and I've never been able to find anything else quite like them except maybe with Star Control. As I get started with The Lost Colony I can't wait to meet some of the old, familiar races again. I apologize for the length of this post, but even as a veteran gamer I find myself confused about or having problems with a number of aspects of the game, something that I didn't expect for a 1.0 release and beyond but understandable with limited development resources. Some of these issues may be because I've so far found no documentation to speak of – no readme, no FAQ, no known issues, no wiki, and no background information. 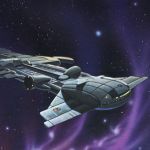 One of the great things about the original Starflight is that we didn't know exactly what we were in for when we started the game, but we did have some basic, vital background information about game mechanics as well as a little history of Arth. I've been playing version 1.01 on Windows 7 64-bit for a few days now as a freelancer, and here are some issues I've come across already. [*]Top issue: Is there any centralized game information anywhere? I apologize if I just haven't found it, but it's frustrating to have so little to go on. The only source I've found so far is the forum. It's often difficult to find answers there if they exist because it is not a unified document, obviously, and its search tool is poor. It repeatedly tells me that my search terms are too common. [*]What is the true significance of choosing a class? Do different classes have different missions? [*]What is the importance of the various personnel skills? When creating a captain and choosing a crew what should one consider? [*]Is it at all possible to see alien ships before an encounter? Is it possible to avoid them, or conversely, to find and meet them? [*]On the navigator's starmap how is fuel measured? It clearly doesn't use the same units used elsewhere such as the cargo hold, trade depot, etc. I consume much more fuel in interstellar flight than the starmap says. [*]I entered a couple of continuum fluxes and couldn't find the other ends to get back. Are fluxes one-way now, or is my navigator too unskilled to see the endpoints as could be an issue in the original games? [*]The web site mentions an Opening Story, which I would hope would provide background information. However, I'm past the training missions and I still haven't found what I would really call an Opening Story. Aren't those usually at the very beginning of a game? Is it still to come? In Starflight, of course, this was in the game manual. [*]The shield and weapon toggle keys don't work for me. I have to use the buttons on the tactical panel, which is potentially bad in an encounter. [*]Is hyperspace the only way to flee combat? I seem to recall that in the originals you could potentially escape by just flying away from the other ships. However, in TLC combat if I get too close to the edge of the battle screen my ship gets stuck. [*]If I take out a loan then immediately load the game I find that I still owe the loan. [*]That the game needs to be run as an administrator on some versions of Windows really needs to be made clear somewhere where players can easily find it upon installation. One shouldn't have to go to the Internet to found out how to run the game without it immediately crashing when there's a known workaround. [*]The ability to put a name or comment on a saved game would be very helpful. [*]I've noticed that planetary mineral and lifeform resources seem to repopulate fully just by launching and landing again on the planet. I guess this was a design decision, but it makes no sense to me. I could understand lifeforms coming back over time, but minerals? [*]There doesn't seem to be a weapon status indicator in combat. This could be helpful. While I wouldn't mind contributing to some documentation I don't see how that could be done by anyone other than the developers or those who have extensive experience with the game. In the meantime, those of us just starting could really use some help. I also regret that I cannot assist with programming as I am an amateur at best and have no experience with Lua. I do, however, believe that with some proper documentation and a little refinement that The Lost Colony could appeal to a wider audience than those of us nostalgic for the good old days. Thank you again. Very nice post - I've been putting off documenting the game engine and mission system for quite some time now. The main reason being that whenever I return to do some work on the game, so many things appear as higher priority than documentation. Reading several of your points hit me when between the eyes with a "Hey! You've already done a lot of this!" feeling with a good reason. A few years ago in order to introduce programmers to the project, I took the original lengthy design document and updated it with spoiler rich details and cleaned out much of the outdated material. I'll try to clean it up further in the next couple weeks and add a ton of new detail as I do a review of the project. -] centralized game information is in the design document above, the source code, within years of personal e-mail correspondence, and within my own gray matter. I'll try to move most of that into the design document/game manual soon. There will be even more mission distinctions in 1.02. -] Personnel skills are partially implemented. Capt. skills and communications skills don't currently do anything, but other skills such as engineering are highly developed and refined. I'll document this in detail later. -] Alien ship encounters are generated statistically and they follow roughly the same mechanics as SF1 & 2 - if you keep moving you are likely to avoid them, if you stop moving you are much more likely to encounter them. -] Fuel calculations are precisely calculated per engine class - however many modifications to the ship's momentum and to the fuel usage formula apparently did not get to the Star map fuel estimator. I'll try to correct this by the next patch. -] Hitting the hyperspace key is the only way to flee combat. There are some other design limitations such as: you cannot enter hyperspace while shields are up/weapons armed/taking damage, but you are "safe" when you fly off the edge of the map and can hit the hyperspace key at your leisure. I personally did not work on the combat engine other than balancing out shields/armor/weapon speed & damage and doubt that I could implement any major changes in the code. -] Much of the game engine was programmed by students. Jonathan Harbour personally rewrote a vast amount of the code himself and quite a few skilled programmers made their contributions, but there are many "shortcuts" that were made. Since there are no experienced C programmers working on the code at the moment, wish list material will likely remain just that. For example, individual planet data is created and randomized on-the-fly. When you leave the planetary module this data is lost and then re-created. To store visited planet information or to make planets much more personalized would require quite a bit more work which wasn't done at the time. Thanks for that reply - lots of helpful, good-to-know information there that I hope will eventually make it into some documentation. Sorry to hear that some issues may never be resolved due to lost developers. Maybe the band will get back together some day. In the meantime I think I'm going to wait for the patch to fix the fuel usage on the starmap as that's a significant issue. I'd hate to get halfway across the galaxy, run out of fuel, and have to pay a hefty fine for a tow. And, of course, I don't want to burn any more ancients than I have to. Hello. I can respond to some of your questions about the gameplay. First, let me correct a misconception--the game is 100% finished. This is not an unfinished game with broken features; it's done, and we just need to make a game manual. Understanding how to play, what assumptions were made on the design, etc, can be explained pretty easily. Originally, we had intended to use the tutorial missions as a way to train players on all of these issues, but there were a lot of complaints that the training took too long, so we added a shortcut means to skip the training, which was completely misunderstood. So, they were basically redone. I recall a discussion with Steve at one point where we just decided that a manual should suffice. The "way" the game plays might need to be explained better. The main web site which this forum is linked from, http://www.starflightgame.com, has a ton of documentation, including the background story about Myrrdan. It appears that the background story is missing... but we can get that back online. The 3 different classes affect your ship's capabilities. The ship has maximum equipment levels (1 to 6) for each item, like the engine, and the class you choose determines the max you can upgrade each component. Steve already commented on the crew skills. These ARE taken into account, but not to the extent that we would have liked. The RPG features of the game do increase crew and captain skills over time with actual use. So, when your tactical crewman gets a kill during combat, he gains points. The Comm crewman affects interaction with aliens. Encounters are staged, and you do have an opportunity to flee. One good way is to enter a star system if you're about to be engaged by an alien fleet. There are several warning messages over a period of seconds leading up to an encounter. The starmap fuel probably should just be removed... I thought it was fixed several times but at this point, use it as a rough estimate based on a class 1 engine. That is a legitimate bug. But is it really a show stopper? Fluxes were originally designed to be randomized for each player, and testing revealed this to be a real problem on Linux machines. I *KNEW* we should have ignored that idiotic Linux port that *NO ONE* was going to use, but that is why fluxes are now fixed and one-way. But, that's how it is now. I liked the random fluxes much better... each time you created a new character, a new set of random fluxes were created, which made each game play differently. Alas, the feature is gone. It was a lot of trouble at the time and in the interest of releasing the game, as I recall, it was changed. The opening story WILL BE at the online manual at http://www.starflightgame.com. We need to put it back up. But the buttons do work, don't they? I don't recall the issue around the shortcut keys except that they were for debugging purposes. This isn't the old Starflight. What do you mean? If you take out a loan, you still owe on the loan? Who doesn't run games on a Windows PC as the administrator? Trying to run it on a work PC? That's up to the IT administrator, not the game code. I'm pretty sure most retail games don't run on a PC with account-level access restrictions. We've NEVER had this issue during testing on dozens/scores of different versions of Windows on different PCs. It's due to rights/privileges set up on the PC, not the game code. It's not a bug. But that isn't how the game works. Yes, that is the way the game plays. Originally, the scattering of minerals and lifeforms was very small to limit the amount gathered in one run. This is how the game is supposed to be played. When you fill your cargo hold, usually you'll launch back into orbit, re-scan the planet again, and land again. This just represents the fact that a planet is HUGE, and minerals don't re-spawn in the real world. Instead, we make only a small number visible, and then you can see more by returning to the planet again. Somewhere along the way, the #'s were increased, but originally we'd planned on there being only a few items you could gather at a time. Yes there is, in the main menu when you turn them on or off. First, I am excited. I played SF2 for half my 8th grade summer and won the game. I have been hoping for a sequel for over 20 years. Thank you! You don't need to travel far and you don't have to circle anything, for Quest #5 "Engine Test", after you leave starport you need to tell the ships navigator to "orbit" to enter orbit mode - so you actually see the planet spinning around in the middle of the screen.